Mary Anne is the Middle School Director at River Ridge Church. She has passion for walking alongside students and families to figure out what it means to follow Jesus together. 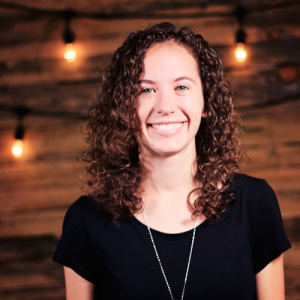 Before joining the River Ridge team, Mary Anne worked at her home church in the Florida Keys as the Student Ministry Director and a part time Bible teacher. She also lived and worked in Ohio for 7 years. (Go Cavs!) She is excited about the energy and sense of community at River Ridge. The people that she has met are excited about being part of the River Ridge family and sharing the gospel with those in the community, locally and globally. When she's not working Mary Anne likes to get outside. She enjoys hiking and kayaking. She enjoys house projects and trying to figure out how to use power tools. She can't play an instrument, but loves listening to records and going to concerts. She likes cooking and eating food with friends. Even though Mary Anne was born and raised in Florida, her family is originally from West Virginia. Her grandparents met and married in Charleston. All of which she found out when she moved to West Virginia.